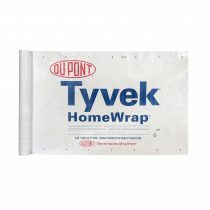 Dupont Tyvek House Wrap is made with plyethylene (HDPE) fibers woven and fused together to form an extremely durable sheet. Ideal for weatherizing houses by resisting water and air filtration. Tape Roll measures 2″ wide X 55 yards long. For weatherizing houses and protection against air infiltration. 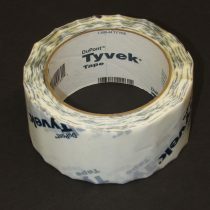 Ideal to be used with Tyvek house wrap.